Hand sanitizers are nice to have around, but they can contain toxic ingredients. 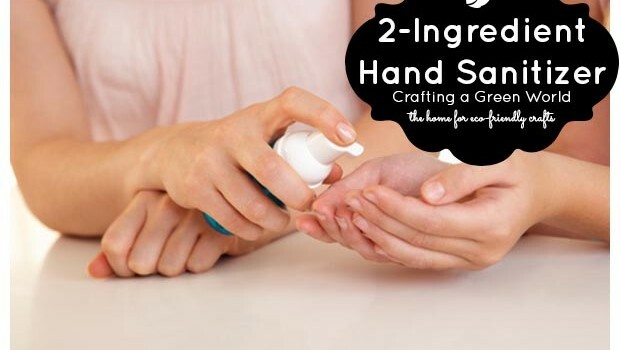 Here’s how to make hand sanitizer with only two ingredients! Triclosan is a controversial hand sanitizer chemical linked to endocrine disruption as well as other human health and environmental issues. It’s been linked to the spread of antibiotic-resistant bacteria, and even worse, it is not effective against viruses, which are often more likely the cause of our colds and flus than bacteria in the first place. That’s not the case for apple cider vinegar though—which is antibacterial and antiviral—and you can easily learn how to make hand sanitizer with vinegar that actually works and costs less money. Apple cider vinegar (and any vinegar, really) is also as effective as bleach in killing about 99 percent of germs but without the toxic chemicals. 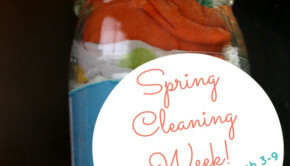 It’s far safer than bleach and triclosan and is generally one of the least expensive household items you can purchase. While simply using soap and water to wash your hands is really the most effective way to prevent the spread of germs, running water isn’t always accessible, especially when we’re out and about in the summer. It’s nice to have a hand sanitizer for when you’re hiking on a trail, at the beach, or events where there may not be running water. All you need are aloe vera gel and vinegar. Aloe vera gel can be found at health food stores or online, and you want to find one that’s pure; no other ingredients added. This is not very difficult to do. Combine the aloe and apple cider vinegar in a 2:1 ratio (two parts aloe to one part vinegar). Mix well to combine and store in a spray bottle. That’s it! 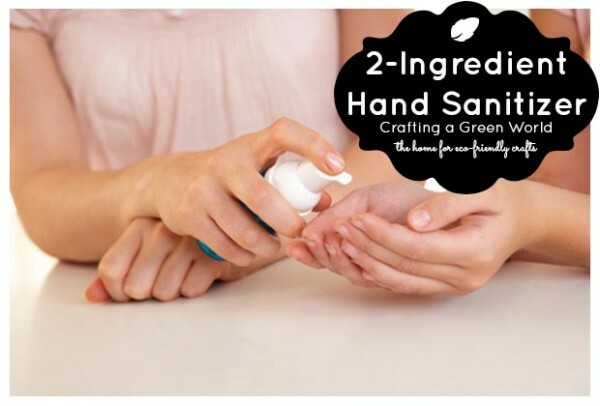 Spray hands and surfaces, utensils, baby toys, etc and don’t worry about triclosan exposure or the risk of germs. Jill Ettinger Jill Ettinger is co-director of Eat Drink Better. She is the senior editor at EcoSalon.com and OrganicAuthority.com. A focus on food, herbs, wellness and world cultural expressions, Jill explores what our shifting food, healing systems and creative landscapes will look, sound and taste like in the future. Stay in touch on Twitter @jillettinger and Google +.